A perfect winter home! Media link is a Video. The South leisure orientation offers Mount Eisenhower views with Pool, Spa, Gas BBQ, Fire Pit and fully enclosed with a large grassy area. Built in 2001 and beautifully remodeled in 2016, this Great Room floor plan offers desert casual living at its best. 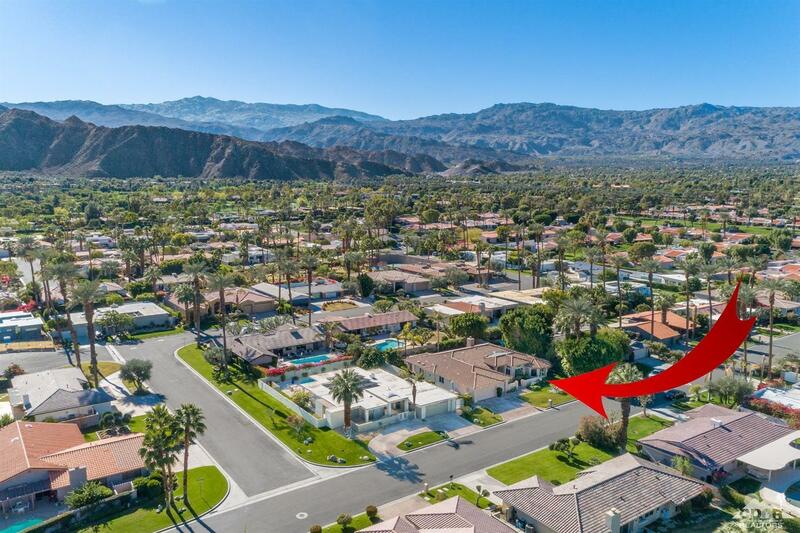 Located 2 miles from El Paseo in the Not-Gated area of Indian Wells. 3328 SF home with 4 Bedrooms + Office and 3 car Garage has Cooks' Kitchen with 2 sinks, center island, stainless appliances, Quartz counters and large Pantry. Opens to Great Room w Wet Bar, Fireplace, Mountain views and French Doors leading to the beautiful yard. Offered Furnished per inventory including the giant TV. The master suite has a Clothing Horse size closet and sumptuous bath. Even the cozy office has a mountain view. A large entry hall opens to the dining room and Great Room. The secondary bedrooms and baths are all spacious. South sunlight streams through most rooms. Located on an interior quiet cul-de-sac.